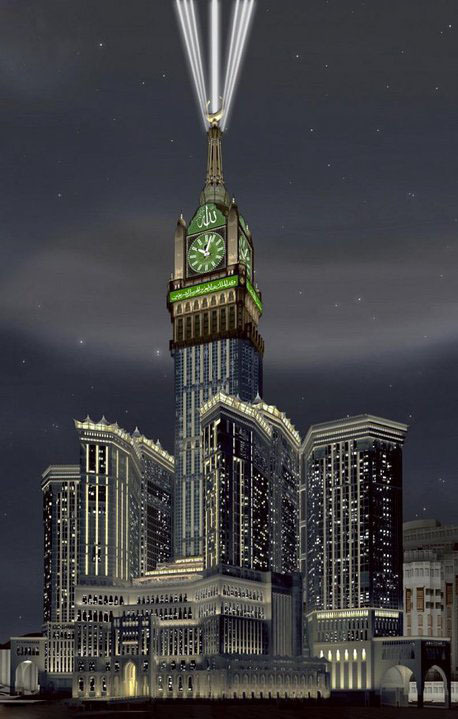 Makkah clock is the biggest clock in the world, in the same time is the second tallest building in the world, standing at 577 meters high it will 59 meters taller than the Taipei Tower in Taiwan but still shorter than the Burj Dubai (or Burj Khalifa) which stands at a huge 828 meters. The Clock Faces will sit at a height of 380 Meters on all sides of the royal tower and be visible from up to 17 km during the night. The two largest faces will be 80m by 65m with an actual clock face of 39M Diameter. The "smaller" two faces being 65m by 39m with a clock face of 25m diameter. Each Clock Face will bear the Name of Allah and an Observation platform will be sited just 5m below each face served by two lifts. 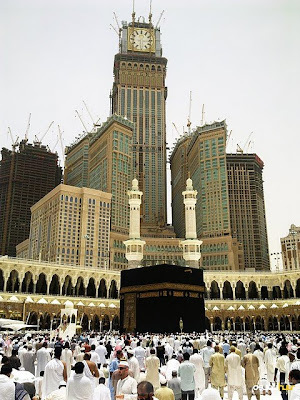 Greenwich Mean Time (GMT) has long been the time the time standard that we have all set out clocks to, however the Islamic scholars are now stating that as Makkah is the true center of the world we should all move over to "Makkah Time". 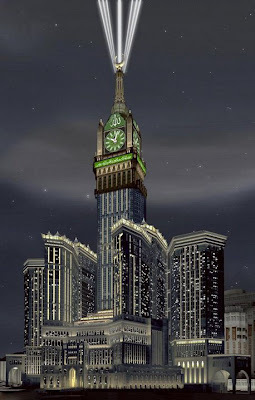 So watch this space to see if the worlds tallest clock tower also becomes the time keeper for the whole world!